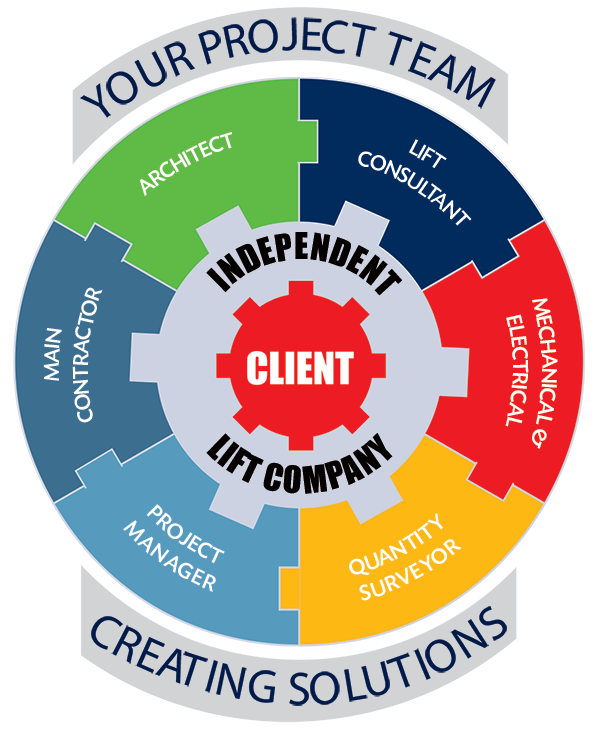 Lift Design Services Ireland. The Independent Lift Company Ltd. Your Project Team offer professional advice and project management at all stages of your new lift installation project, from design stage right through to site installation and handover. We consult carefully with our customers to understand their particular business requirements in detail, before developing bespoke lift solutions with their professional design teams. We specify and source the most suitable lift equipment, and work closely with the project delivery team to ensure a safe and efficient installation on site. The successful handover of a high quality lift installation in compliance with all required lift regulations is always our ultimate objective. Our lift installation process for the supply, installation and final test of new passenger lifts within the scope of EN81-20, EN81-21 and EN81-50 is carefully managed, audited annually and certified by a European Notified Body for compliance with the Lift Regulations.